A quick instagram photo before all hell broke lose and two city kids encountered the worst fear of our sheltered lives. My life list is all about reconnecting with my inner adventurer. 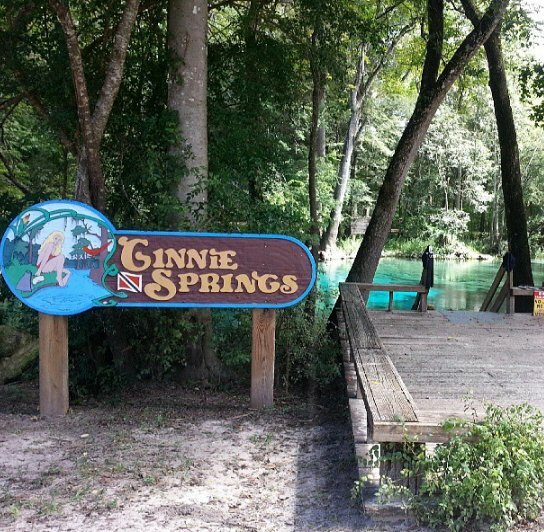 I used to travel and try new things as much as possible, but I felt stagnant this year and had to rectify that with a trip to Ginnie Springs. A shining Floridian sapphire gem a mere 2 hours south from my home, it's praised worldwide for its natural beauty. John Cousteau himself proclaimed the spring's waters the clearest in the world! We rented large inter-tubes and embarked on a relaxing drift down the connecting Santa Fe River, passing beneath canopied trees, a clear blue sky and soft cumulonimbus above us. I was reminded of my desire to start a video series of my general and thrifting travels and genuinely wished I had a camera so I could vicariously bring you on this relaxing trip down the river with us, it was such a Huck Finn southern fried classic scene! We were only drifting about 15 minutes when signs informed us the intertube exit was approaching. This is where wiser floaters took their exit but we carried on, thinking more exits would be up ahead. We'd drifted down this river before as kids and it was definitely longer than 15 minutes! The further we drifted, the more we realized we were drifting far from civilization. There were no signs of camp grounds on the banks like before, but swimming back upstream against the current was impossible. The river banks rose as we drifted on, there was no way to easily climb out of the waters and in swimsuits and no shoes we weren't suited for a long walk back in the sharp, prickly, untamed wilderness. We tried not to show our mild panic. THEN we saw it, the massive Florida Alligator. This is not the gator we saw but it looked exactly like this guy. A big, bad, scary mofo! I'm a huge animal lover and greatly appreciate all members of the reptile kingdom. I find the crocodilian family to be stunningly beautiful and have read about them extensively. I cursed that knowledge when feet away from a gator in the wild. Not so fun to know that I can never out-swim it in its element. Scary to recall the crushing power of its jaws, with a bite force stronger than any living creature. Once your flailing leg is caught in the prehistoric maw of this massive creature, it twists its body hard to tear your limb off! Just a bite from its heavily bacteria laced jaws can kill you. Luckily this gator was sun bathing on the shore but being a mere few feet away and defenseless in the water was up there on the scariest things that ever happened to us. Seeing one gator on the shore definitely meant there were more, you feel very vulnerable practically naked in icy cold water with nothing between you and the powerful chomp of a gator. We later learned if we wouldn't have been lucky enough to encounter that boat we would have drifted down for at least two more hours before encountering a boat ramp to get us out of the water, then it would have been another 2 hour walk back to civilization. In the dark gator-filled wilderness. So that's my story. Always follow the damn signs and don't wish too hard for adventure. In the meantime, I feel highly chastised by some higher power for ever complaining about my easy, safe, non-gator-filled day job and life again! Ever had any trips go horribly wrong? Got any funny vacation stories to share? Do tell. I can't be alone here! Glad you got back safe! Florida waters and wilderness are so dangerous. It's not the gators and snakes you see..it's the ones out there you didn't. Even in the designated area no one is completely 100% safe from them. That's one scary story! My friends and I used to play in the woods so we've seen lots of snakes and got chased by a dog now that I think about it. There were highly poisonous water moccasins in my mom's back yard...but a gator in the wild, yeah, that was kinda freaky. I love yet respect the wilderness here! Gonna keep that quote in mind. Oh my gosh girl! I would have passed out, I am glad you made it safely back to land. We were quite relieved, too! Could have been waaaay worse scenario! Hooray for non-horror movie kindly fishermen! I'm glad you made it back safe and sound! It's scary sometimes how fast situations can get out of hand. At least you have a great story to tell! Well, that was a scary story Van! I used to be adventurous like that, but I'm too old now and appreciate my more sedentary ways. Happy to hear it all turned out well for you and the BF! Funny enough boyfriend said he will now be grateful to go to the pool, art shows, and other outings he previously considered boring. Makes you grateful for the boring things indeed! I think I'll stay in Ohio, where the biggest reptile one can encounter while river tubing (which I love, incidentally) is a snapping turtle! Florida is for *beaches. * LOL! Yeh, we were saying that ;) Though we could encounter sharks in our North Eastern Florida waters! I'm good at pointing out the danger in everything, haha. Truthfully though, gators and sharks rarely attack unless provoked. We've been in the water with Rays, too. Luckily they're generally harmless as well. Still didn't want to be in the water with 'em! I think someone was looking out for you two. Be careful out there! That's all we could think too, so serendipitous that the boat approached at that very moment or we would have had a BAAAAAAD night. At least you have a good story to tell! Glad you guys are ok! That is so scary! You are making me think twice about moving to FL someday, LOL! I'm glad you were safe -- and happy birthday! ur, early b-day wish that is. So early. So tired. I can see how you would have got that out of the confusing post title. Yikes! Glad to hear you are okay :) I cannot image how I would have reacted to seeing a gator in the wild! My brain told me they are generally harmless but you still don't want to be in the wild with one! Oh, my goodness - that's a scary tale!! I can't imagine how desperate you woukd feel!! The lost feeling was getting pretty freaky, we are so lucky the boat came when it did! Oh my goodness, how scary! I'm so glad you both made it through ok! And now that the horribly frightening part is over, it will be one of those stories you can tell people the rest of your life! Just when I was thinking cars are scarier and more dangerous than any gator ;) Seriously, haha. We will always remember going the wrong way down that river! Funny, we had a similar incident on Saturday. We took our 2 kids (8 and 5) fishing on the river, which we do quite often. Only this time, about 15 minutes upstream in our little boat, our outboard motor quit. Not fun on a swiftly moving river with two little kids- definitely not going to make it if we have to get out and swim. Thankfully we had gone upstream and could drift back to the boat launch, but it was like that scene in Apollo 13 where they have to time the re-entry just perfect in order not to miss the window. If we had missed the turn for the boat ramp, there was no way to get back! Wow that sounds terrifying! Glad you both were okay and made it out of there; you just never know when something bizarre can happen to you. We just visited the Alligator Farm and learned all those facts about them, too. They are pretty powerful beasts. Holy moly! That's scary! You two were like sitting ducks out there. I'm so glad that you're okay. The majority of my trips take bad turns but I don't think I've ever had one that scary. I just died a little bit. I have issues with rivers, lakes, ponds or any water I can't see the bottom of ever since something wrapped around my leg as a child! I thought someone was messing with me but there was no one around! :shudder: Glad y'all didn't get too far out!! Alligator farms are not much safer.. We went to one in Louisiana when we lived there when I was a kid. I must have been about 8 at the time. The people running the farm bring out raw chicken parts to feed the gators with and poke the meat onto the end of a long stick, then let people on the boat feed the gators. The gator leaps up out of the water and snags the meat off the stick. Pretty cool to watch. I got to go first and there's a picture of me with my arms way over the railing up to my armpits and an alligator grabbing the meat off the stick. Then there's a picture of my sister with her arms sticking out over the railing up to her elbows. Then my mom had a turn and only her hand was over the railing and a baby alligator came up from under the boat and jumped and grabbed her hands!! She was lucky it was just a baby gator and it lost it's grip on my mom's hand and let go. Mom has a scar on her palm, the back of her hand, and a long gash on one of her fingers. No stitches were needed, but she did have to get a tetanus shot. 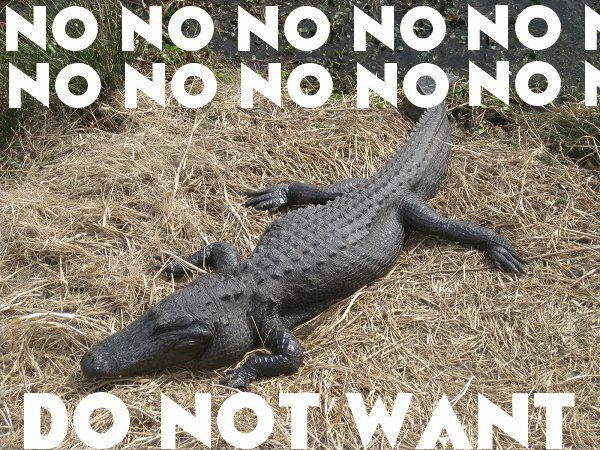 Poor Mom, everyone now gives her alligator themed gifts which she hates and does not keep! She already has one reminder and does not need more!! So glad your day had a happy ending!! Damn that's scary! I wish I could find a polaroid photo of me and my buddy holding a small gator when we were young teens. His mouth was taped shut. Funny enough their jaw closing strength is record breaking but the opening strength is super weak, hence why insane wrestlers can put their hands over their jaws and keep them closed. I absolutely lover alligators and crocodiles, so beautiful. Just...yeah, don't want to be too close to them. Especially in the wild. Aiyiyiyiyi!!!! Omigod! That is so friggin' scary! I would be so traumatized after that! I am soooo glad you and your boyfriend were able to make it out okay. Don't know if this will be of any comfort, but I heard that the muscles that open the mouths of either crocs or gators or both (I get them mixed up) are very weak, that even a rubber band can clamp them down. BUT, as you pointed out, the muscles that are used to clamp down their mouths are very powerful and vise-like in their grip! I'm just so glad you guys are okay and safe! 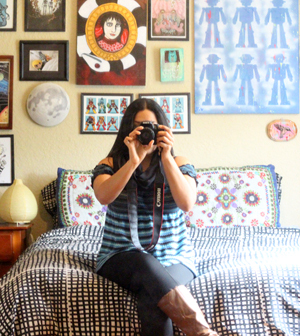 Please be forewarned – this is a long story! As for trips that went wrong, this happened around your neck of the woods many years ago. My parents, their friends, and me and a girlfriend of mine went on a Caribbean cruise. There were 9 of us. Everything was fine until we disembarked the ship and were trying to get back home. When we passed through security in Miami to get to our Greyhound buses, my friend got separated from the rest of us. Desperately we went to look for her, as we had to get to the airport and get on our flight. After running around for 10 minutes, we finally found her. We got onto our plane for Dallas, where we had to catch our connecting flight. Well, before we even got there, the plane let out 2 huge booms. We ended up landing safely in New Orleans, but the plane had to ground overnight due to some mechanical issue. I spent the next hour or so trying to get a connecting flight for 9 people to Dallas, while my girlfriend helped the older folks retrieve our luggage. The escalator from the luggage claim was out of order, and they had to lug all their suitcases up the stairs. Keep in mind, these were people who were older and already retired. When they tried getting through security with all their suitcases, they set off the metal detector left and right. The metal detectors in NO for some reason were ultra sensitive (keep in mind, this was pre 911); everything set them off, so everyone was removing stuff left and right off their bodies trying to see if that would help. Then one lady's bag set off the detector, but she had locked her bag and didn't want security to cut it open. Her key was in her carry-on, which was with my mom, who was watching everyone's carry-on bags on the other side of the airport. The lady had to race back and retrieve the key so that she could unlock her bag for the officers to inspect. So by the time all this was done, and everyone was back together, I had gotten new tix for everyone for a new flight which was about to take off. We ran over to the gate for the departing flight, and just as we got there, we were informed that the flight had just taken off. By that time, most of the airport was closing, so we ran to find someone who could help us. Well, we got a free overnight stay at a local motel and boarded a shuttle to take us there. We had a quick dinner and then retired to our rooms. Next morning, bright and early, we all headed down to the lobby to await the shuttle to take us to the airport. In her haste to get out of the motel (which she claimed had bad vibes), my mom tripped and fell and sprained her ankle! Needless to say, that was one trip we all couldn't wait to get home from! Thaaaat is a nightmare trip! The booms from the plane would traumatize me for life!